We are a vibrant practice with a pioneering approach to architecture who specialise in transport, urban design and place making. 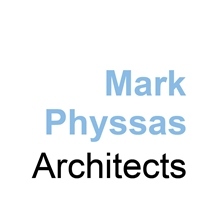 Mark Physsas Architects works with its extensive network of consultants and supply chain to deliver high quality places and buildings. Our approach is to design through our unique collaborative approach and processes. This gives our clients efficient and quality design.We draw on our experience to deliver integrated design solutions for master planning, terminal, baggage and ancillary design in the UK and abroad. We are able to support clients and consultant teams with feasibility, client interfacing, package and delivery management, wayfinding and DfMA.